There is no simple definition of music. But we do know it is a joyous gathers or sounds and noises that when we combined bring happiness to those who hear it. But in today’s fast paced world how does one go about making Music? It is often thought to be too expensive, only for the rich. But we have changed all of that! 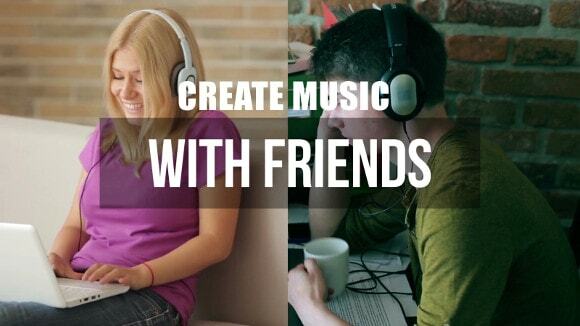 Collaborate with “Friends” and fellow Musicians in real time, face to face anywhere in the world for “Free”! See each other, talk, text create! A full feature “Mixing Board”. An Artificial Intelligence Lyric Generator called the “Lyric Genie”. A Seamless interface that allows you to connect you own guitar, synthesizer, microphone and drum kit by simple plugging it into your pc. One button publishing to youtube, facebook, twitter and Instagram. Plus we have given the ability to interact in a fully functional Social Media platform. Give it a try and see why this will revolutionize collaborative music making and will bring music creation to the masses! Previous Previous post: Throwback to EDM DJ’s; Our top 3 Favorites! Next Next post: Ground Breaking Artificial Intelligence System Guides Songwriters!